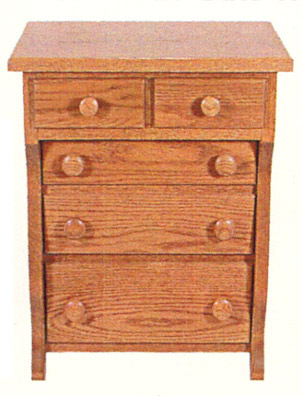 Instead of calling this a solid oak jewelry box, the Amish chose to call this one a solid oak Bachelor’s chest ... Why is that? Wouldn’t married guys have more jewelry than single guys? It’s certainly big enough to hold all the jewelry from a lifetime of dating and marriage though, so we guess everyone is covered on this one! Handcrafted of solid oak to the familiar top-quality standards of Clayborne’s Amish Furniture, this Bachelor’s chest, jewelry box, or whatever you choose to call it is Amish built to last a lifetime, and it will look great sitting on the dresser in any solid oak bedroom environment.